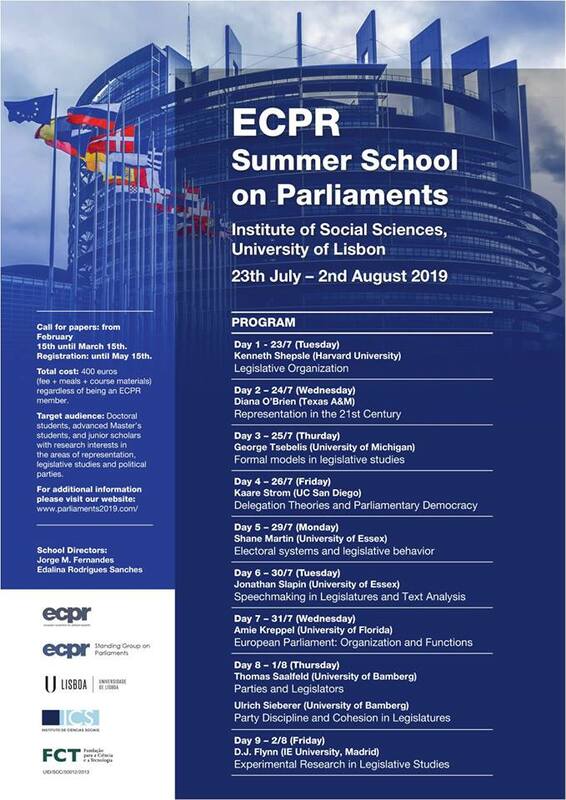 The ECPR Summer School on Parliaments brings together junior scholars of national, regional and/or trans-national parliaments to learn about the latest theoretical and methodological advances in the field. Furthermore, participants have the opportunity to receive feedback from leading academics on their ongoing research. The program offers an opportunity for participants to network with both young and senior legislative scholars from Europe and beyond. This year the summer school is co-organized with the University of Lisbon and will take place between 23th of July and 2nd of August 2019 in Polivalente Room of ICS-ULisboa. 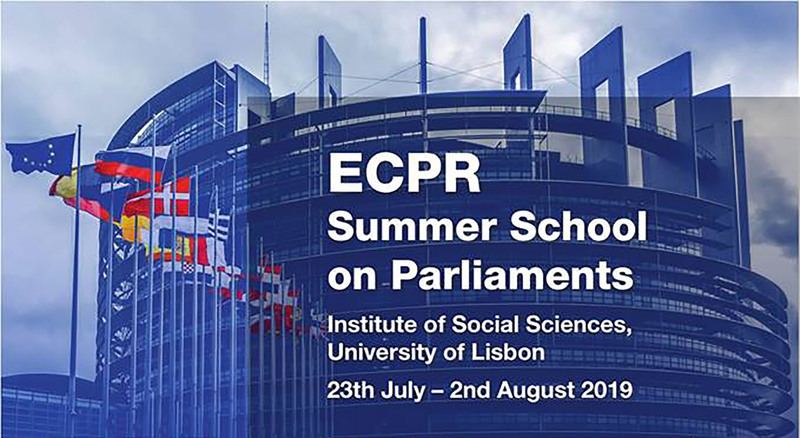 The summer school is organized by the ECPR Standing Group on Parliaments in collaboration with Jorge Fernandes and Edalina Sanches from the ICS-ULisboa. Call for Papers: from February 15th until May 15th.